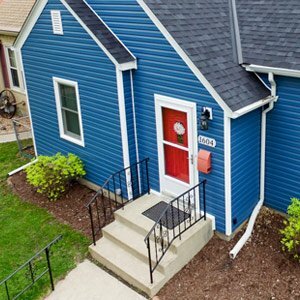 Are you a resident in the area surrounding St Louis Park? If so, you must be used to the scorching heat that July brings. You must also be aware of the teeth-chattering cold of December and January. However, what you may not know is that such weather conditions are adversely affecting your roofs. Therefore, a St Louis Park roofing contractor is what you need to be on the lookout for. You might be wondering, why should you even bother looking for a roofing contractor? After all, you can pull out the classic DIY book and do the task by yourself, right? Well, here are three reasons you should hire a credible St Louis Park roofing contractor instead. It is best to leave tasks to those who have proper knowledge of it. 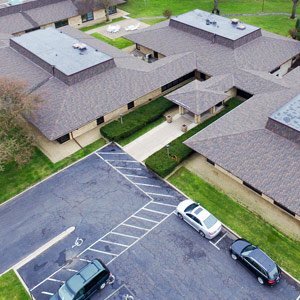 While you may think that watching a few videos and reading a few books has made you into a professional roofing contractor, the fact remains that you lack the experience that a professional St Louis Park roofing contractor will have. The skills and knowledge such individuals possess is due to years of on-the-job training and experience. Regardless if you still try to do this yourself, you can’t replace this experience by reading a few books. Therefore, it comes as no surprise that the output of a professional’s work will be far better than your own. Why would you want to waste your time fixing your roof when you could spend it on other things? There is a reason the world moved towards specialization, and that is to save time. Time is money. Every minute you spend trying to figure out how to fix your roof, you are wasting your own precious time, time that a professional contractor could be spending fixing your roof problem. Moreover, what may be a month-long project for you, might be doable in a day or two by a professional. Therefore, hiring a St Louis Park roofing contractor will allow you to be done with your roof maintenance quickly, not to mention the money you will save if you hire one in the first place, in contrast to doing it yourself and making a mistake. Let’s face it, the chances of you making a mistake are very high. You know how you shouldn’t drive and text at the same time? This is because humans are not equipped to be aware of their surroundings when doing another task. While such a quality may not be much of a flaw in normal situations, it most certainly is when you are physically working on top of your house. Therefore, there is a high probability of you falling and injuring yourself if you decide to do the task yourself. It is a wise decision to hire a St Louis Park roof contractor and avoid the hazardous situation altogether. All in all, if you live in Minnesota, make sure you search for and find a professional St Louis Park roofing contractor. Hire a professional, and reap the benefits of quality work. Click here to know how to Get the Job done to Perfection with the Right Roofing Contractors.